Each box contains 40 packs. 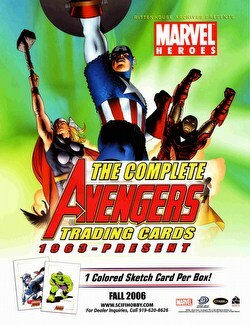 Each pack contains 5 cards. Each Complete Avengers box will contain 1 Hand-Drawn/Colored Sketch Card. 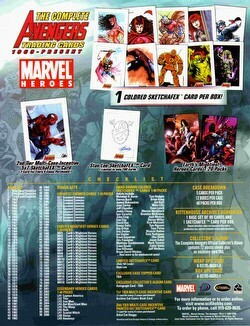 More than 40 artists will be contributing their skills to the Sketch Card art. 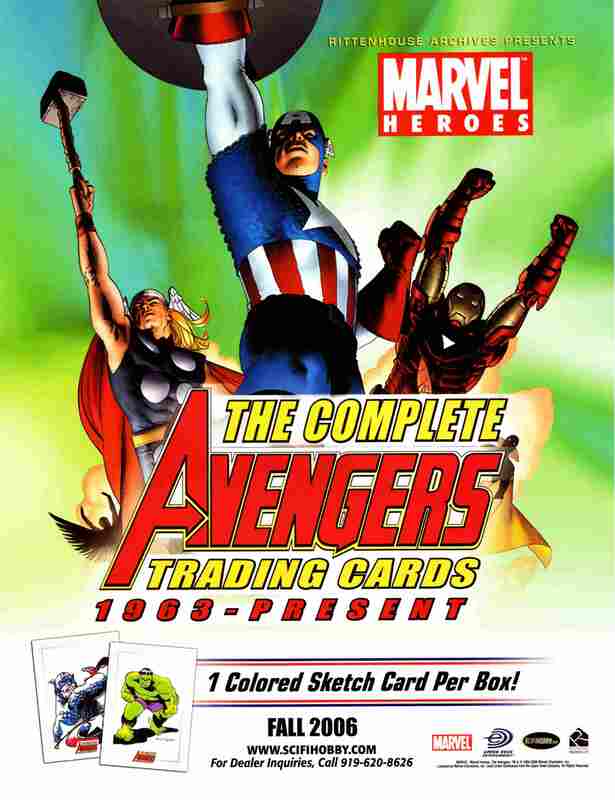 Insert sets include 9 Greatest Enemies, 18 Earth's Mightiest Heroes, and 9 Legendary Heroes. 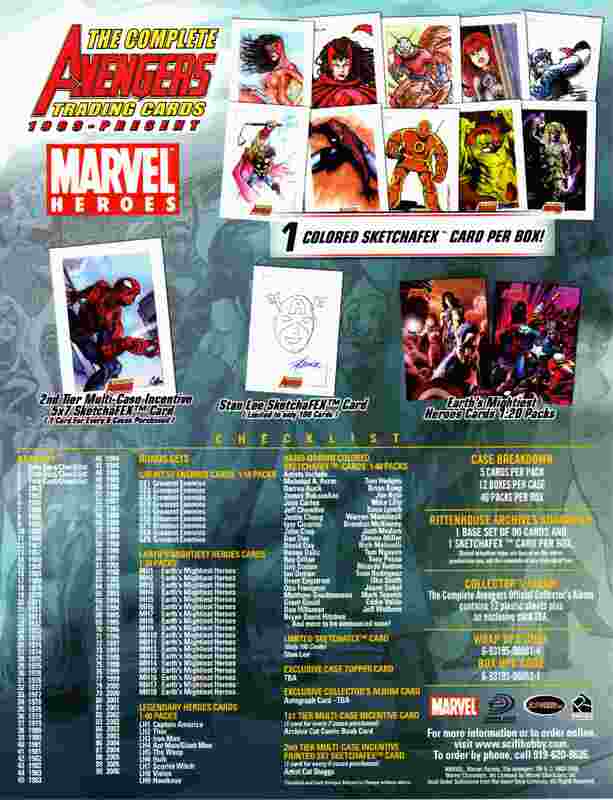 For every 24 boxes (2 cases) pre-ordered, customers will receive an Archive Cut Comic Book Card. For every 72 boxes (6 cases) pre-ordered customers will receive a Painted 5"x7" Sketchafex Card by artist Cat Staggs. 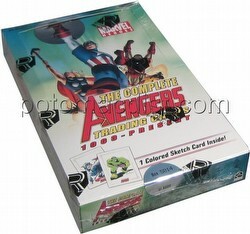 Limited Edition Stan Lee Sketchafex cards (only 100 made) will be randomly inserted in boxes.